2019 Junior Library Guild Selection! India (Hodder & Stoughton): Amazon India & Flipkart links coming soon! Spanish Edition (Planeta Mexico): Coming soon! Check out the full jacket wrap here. 2018 South Asia Award Honor Book! Winner of the 2018 Colorado Book Award in Young Adult Literature! New York Times and national Indie bestseller! UK (Hodder & Stoughton): Buy on Amazon! Australia (Hachette UK): Buy the ebook or the paperback (both releasing May 30, 2017). New Zealand (Hachette UK): Buy the ebook or the paperback. India (Hachette India): Buy on Amazon! Turkey (Sis Yayincilik): Buy here. France (Hachette Livre, date TBA): Links TBA! Indonesia (Haru Publishing, date TBA): Links TBA! Russia (EKSMO, date TBA): Links TBA! Audiobook: Buy the audio CD here. The YA rom-com everyone’s talking about! 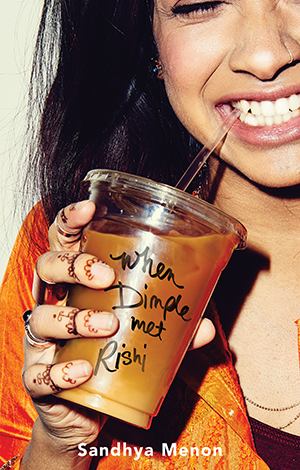 As seen in Teen Vogue, Bustle, and BookRiot—with a starred review from Kirkus Reviews—When Dimple Met Rishi follows two Indian-American teens whose parents conspire to arrange their marriage. Dimple Shah has it all figured out. 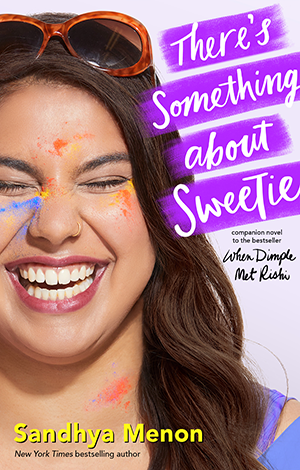 With graduation behind her, she’s more than ready for a break from her family, from Mamma’s inexplicable obsession with her finding the “Ideal Indian Husband.” Ugh. [read more=”Read more” less=”Read less”] Dimple knows they must respect her principles on some level, though. If they truly believed she needed a husband right now, they wouldn’t have paid for her to attend a summer program for aspiring web developers…right? A Barnes & Noble Most Anticipated Sophomore Novel of 2018! Available in Scholastic Book Clubs starting Fall 2018! An Indie Next Summer 2018 Pick! One of Popsugar’s 10 Exciting Summer Releases! June 2018 Pick for Chloe Lukasiak’s Book Club! 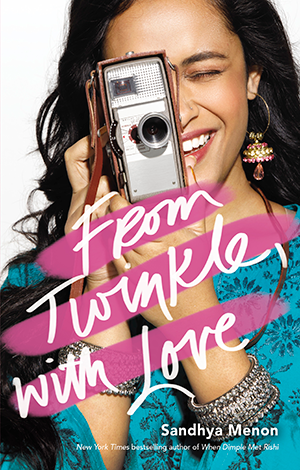 Aspiring filmmaker and wallflower Twinkle Mehra has stories she wants to tell and universes she wants to explore, if only the world would listen. So when fellow film geek Sahil Roy approaches her to direct a movie for the upcoming Summer Festival, Twinkle is all over it. The chance to publicly showcase her voice as a director? Dream come true. The fact that it gets her closer to longtime crush, Neil Roy—aka Sahil’s twin brother? Dream come true x 2. 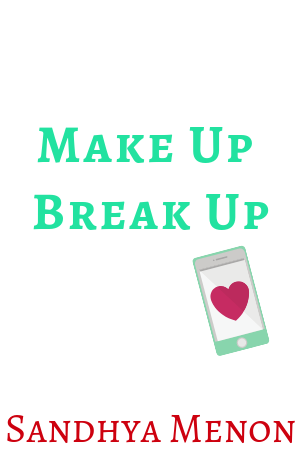 When mystery man ‘N’ begins emailing her, Twinkle is sure it’s Neil, finally ready to begin their happily-ever-after. The only slightly inconvenient problem is that, in the course of movie-making, she’s fallen in love with the irresistibly adorkable Sahil. Twinkle soon realizes that resistance is futile: The romance she’s got is not the one she scripted. But will it be enough? Check out the full wrap jacket here. Canada (Simon & Schuster): Links coming soon! UK (Hodder & Stoughton): June 7, 2018. Links coming soon! AUS/NZ (Hachette UK): June 7, 2018. Links coming soon! Russia (EKSMO): Links coming soon!